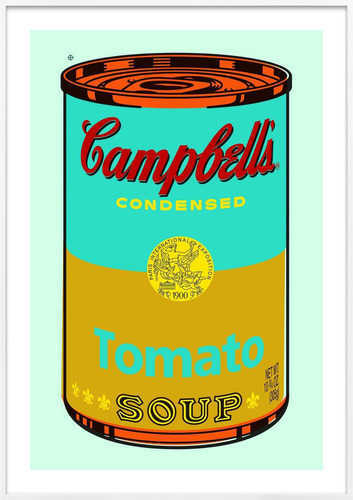 Learn more about Campbell's Soup Can (After Warhol | teal) from Eric Doeringer. Warhol's iconic soup can gets an update in this pop-art tribute, part of Eric's "Recreations" series, which challenges notions of authorship and intellectual property in contemporary art. Eric Doeringer started out slinging exact replicas of famous artworks outside of galleries, museums, and fairs. Through these “bootlegs” and “recreations,” Eric challenges the notions of ownership and brand while exploiting grey areas in the laws of selling art.